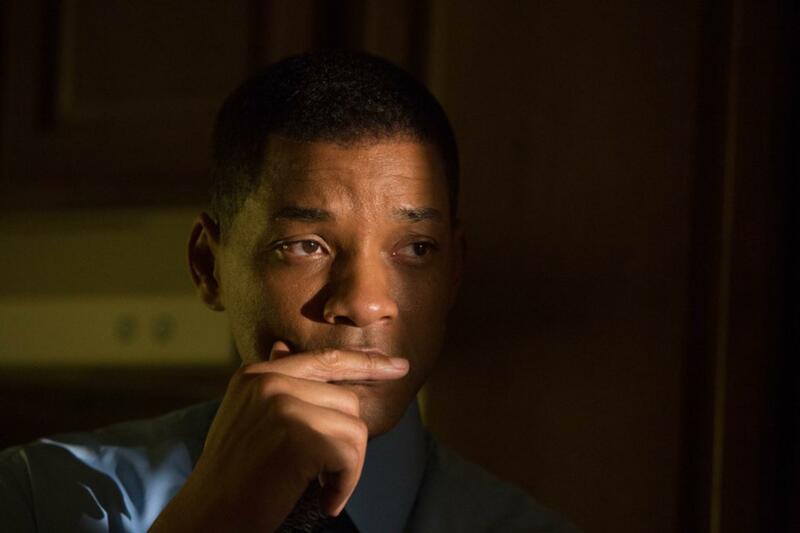 If anything, “Concussion” teaches us not to lead with the head. “Concussion” is the story of Dr. Bennet Omalu, a forensic pathologist at the Allegheny County Coroner’s Office from Nigeria, who discovered chronic traumatic encephalopathy, more commonly known as CTE. CTE is a disease that degenerates the brain. It’s a result of repetitive intense brain trauma, often from head collisions in football and resulting concussions. The film details how the NFL frighteningly spent time and resources to avoid and discredit Omalu’s work and findings published in Neurology in July 2005, threatening his career and ability to stay in the United States. Despite the story’s immediate importance, the film fumbles the delivery. The film is adapted from the Jeanne Marie Laskas’ GQ article “Brain Games.” Laskas is Pitt’s writing program director and was a consultant for the film’s production. A slew of former Pitt faculty appear in the film, including Pitt genetic epidemiologists Ryan Minster and M. Ilyas Kamboh, who helped Omalu write his paper, and Steven DeKosky, then-Pitt neurology department chair, and Ronald Hamilton, an associate professor of Pathology, who aided Omalu in his research. The film opens with Omalu (Will Smith) finding abnormalities in former Steeler and NFL Hall of Fame center Mike Webster’s brain, who killed himself in 2002 at 50 years old. This came after years of battling mental health issues, like hearing voices in his head, pulling out his teeth and supergluing them back into his mouth. Webster’s brain had deteriorated to the level of that of an elderly man, and Omalu wonders if it may stem from the head trauma he suffered as a player. As the numbers of retired players either dead or suffering from what seemed like very early onset Alzheimer’s rises, Omalu’s evidence grows. “Concussion” tries to show Omalu’s fight to find the cause of these deaths and to make the NFL hear and respect his findings after discovering CTE. The best scene of the movie, shot in and around Pittsburgh last fall by Columbia Pictures, is when Omalu passionately but professionally explains his discovery and his thesis to two other scientists in a downtown office building. Omalu diagrams a football play on a whiteboard, detailing how often players are hit in the head — particularly centers like Webster. The camera then pans from the scientist to the window, with Heinz Field in clear view. His discovery would endanger an institution so embedded in American culture that it influences not just entertainment, but Americana also. But sadly, this is the only moment of strong filmmaking in “Concussion,” as writer and director Peter Landesman fails to produce anything close to a great picture. The failure is shocking as the source material is one of this century’s largest domestic controversies. “Concussion” is a victim of its own aspirations, juggling a story of an immigrant, the scientific process, a critique of capitalism and a David-versus-Goliath underdog story all in one. It didn’t help that the film often dipped into melodrama, more fitting for a Lifetime channel movie than one premiering in primetime Oscar season. One scene in which Omalu’s wife Prema (Gugu Mbatha-Raw) thinks she is being stalked by the NFL felt like a predictable cliche and not a serious threat. In another scene, Omalu throws a tantrum and breaks a wall in his home by punching it and hitting it with a piece of wood. Instead of holding the climactic gravitas of the moment, it felt more like Will Smith was trying to escape the movie he’d signed up for. The film has also drawn some criticism for seemingly letting the NFL off too easily. With Landesman monitoring, the NFL had the chance to edit some of the film — there is authentic recorded game footage throughout — though it is unclear how much they did or did not do. Earlier this year, The Hollywood Reporter found some of the scenes that were cut. The New York Times wrote that emails from the Sony hack hinted that the NFL protested some of the portrayals and actions in the film, and the league requested their removal. Landesman refutes this claim and said he cut the scenes for the sake of the story. Based on the Sony hack information, these mostly would have been scenes about the NFL’s actions, not any game footage, and Landesman would have had final say over whether or not they remained in the film. Of course, Landesman is not required to villainize the NFL or to make the viewer afraid of football. But he treated the corporation with kid gloves. His characters keep reminding us of the beauty of the game, the love they have for it, the jobs it provides and the charity work the league does. This is all true and fair, but keeps us from rooting for Omalu’s David against the league’s Goliath. The film has still made an impact. The New York Jets’ D’Brickashaw Ferguson penned a letter in Sports Illustrated this month about how the film made him realize he has been put in danger to a degree he did not expect, even saying he feels betrayed by those he thought were looking out for his health. Ferguson is not the only one who has expressed thoughts on the film, with many former and current players saying they felt the discussion of CTE and further attempts to make the game safer are important. A few weeks ago the real life Omalu told The Guardian that football is too dangerous for children with still developing brains. Back inside the film, the individual performances are noteworthy. Albert Brooks is excellent as Omalu’s boss Cyril Wecht, encouraging him to continue his investigations. He stays level-headed while balancing a drive for the truth and a brotherly love for Omalu. Alec Baldwin is strong as the former Steeler team doctor Julian Bailes, hurt by the pain of his former players, guilt over whether or not he caused it and then anger to make amends. Will Smith is solid in his best performance since 2006’s “The Pursuit of Happiness.” His Nigerian accent fluctuates from barely existing to incredibly strong — many have said his accent also isn’t Nigerian at all, but I’m not a qualified judge. He still delivers a subdued performance, channeling the weight of the responsibility to find a critical truth and the pain it puts on him and his family. The fact he’s clearly trying so hard makes the mediocre final product more frustrating. The film’s explicit messages push the actors out of place, giving subtle performances in a movie that urges them to scream. Despite “Concussion’s” select moments it missed an aesthetic opportunity in executing one of the year’s most intriguing subject matters. While defensive linemen celebrate big tackles with muscular flexes, “Concussion” leaves the viewer with an apathetic shrug.